With an English summer that has seen temperatures exceeding 30°c, sales of ice cream, unsurprisingly, have gone into meltdown with supermarkets reported to be quickly running out of the most popular flavours. However, it is the impulse purchase that dominates the market, constantly outgrowing the ‘take home’ sector for the past two years. Experts says that ice cream will continue to be a ‘now’ purchase rather than part of the regular grocery shop. A rise in consumer demand has also led to innovation in the market. New flavours have quickly become established as customers embrace the product sector, along with new ways of presenting the dessert. Artisanal ice cream, hand crafted desserts, for example, is starting to have an impact on the traditional market-place and is expected to grow over the next few years. Another concept that is making waves in the dessert ‘impulse purchase’ sector is ‘stir fried’ ice cream. Anyone visiting Asia, will have experienced the excitement of ‘street theatre catering’, and ‘Teppanyaki’ – traditionally, a Japanese concept that uses a fiat metal griddle to cook food, usually in front of the customers. In Asia and Thailand, they have taken the concept and turned it on its head. Rather than cooking food on a heated plate they developed a teppanyaki frozen plate for creating ‘stir fried ice cream’ and ice cream rolling was born. 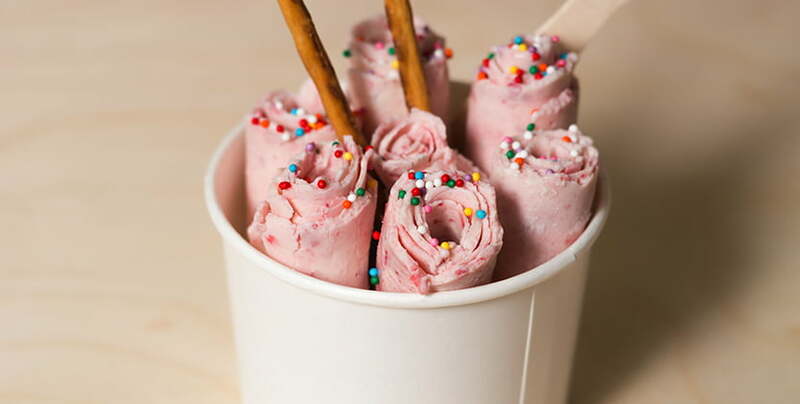 Ice cream rolling is now taking the West by storm with specialist parlours springing up throughout the USA and Europe. Inspired by this success, we recently launched a Teppanyaki ice cream table into the UK. Manufactured in Europe, the table is available in two different surface sizes and supplied either as a drop in or portable table top unit. Successful operators claim that the key to success is a flexible Teppanyaki plate, ours has a temperature range of ambient to -30°c and has an optional remote power pack – giving up to 2 hours power away from a mains socket. They also say the more interesting the filling, such as fresh fruit, chocolate and biscuits and the greater the showmanship of the ‘sommelier’ the more profit is generated from the ice cream street theatre.